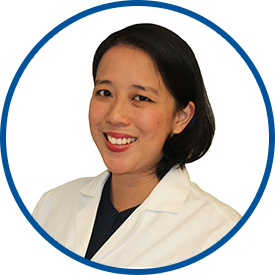 Dr. Okun received her bachelor of arts degree in biology from University of California, Berkeley, and was awarded her medical degree from Tufts University School of Medicine. She completed an internship in general surgery at New York University/Bellevue Hospital and a residency in otolaryngology/head and neck surgery at the same institution. She is board certified in otolaryngology/head and neck surgery. Previously, Dr. Okun was in private practice at Lexington ENT in New York City. Also, she was a research assistant at Tufts University School of Medicine in the Department of Otolaryngology and the University of California, Irvine, in the Neurology Department. She is affiliated with Northern Westchester Hospital, Lenox Hill Hospital and the Rye Ambulatory Surgery Center. She is a member of the Alpha Omega Alpha Medical Honor Society. The doctor listened to me, and have me great care. Dr. Okun was competent, approachable, reassuring and extremely kind. Dr Okun is a wonderful doctor! Caring and competent. I've seen Dr. Okun several times now and she is absolutely AMAZING! !